In the suburbs of Sydney’s leafy lower north shore that I specialise in, auction is one of the most common ways to sell property. But despite the popularity of auctions, quite a few people are still unsure how an auction works and what they should do at one, especially buyers. I’ve previously written about how auctions work from the vendor’s perspective, especially what to do if bidding on the day doesn’t meet the reserve price. 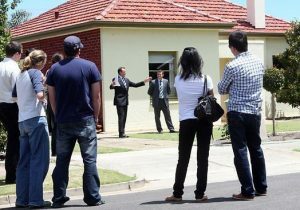 Now I think it’s time to pass on a few tips to buyers attending auctions. One of the things I’ve mentioned in other posts about auctions for vendors, is that auctions tend to move very quickly, and this is often the precise reason why a vendor will use an auction campaign to sell their home — to deliver the best price in the least amount of time. If you’re buying in a seller’s market, keep in mind that a property you may be very interested in may not even make it to auction. In the lower north shore, where demand is high, it’s common for properties to receive multiple offers before going to auction, with many homes being sold beforehand. When you see a property you love, try and turn up to as many opens as you can. This will give you an opportunity to see how many other buyers are interested in the property and how many of those have turned up for repeat visits too. If you’re sure this property is the one, it doesn’t hurt to put in a pre-auction offer, as it may be just what the vendor has been hoping for, and you could walk away with your dream home early. Even if your offer isn’t accepted and the property still goes to auction, you’ve got a fairly good idea of your competition and how much the vendor is hoping to get on the day. Remember that, unlike with a private treaty sale where there is a five day cooling off period, there is no cooling off with a property sold at auction. This means that, if you’re the highest bidder when the hammer falls, you have to follow through with the purchase. You’ve notified your finance lender that you’re going to an auction. Attending an auction is a little like gambling, in that you need to keep your body language neutral, so as not to show the other bidders your hand. You also need to be monitoring the body language of the other people bidding on the day; try and look for tell-tale signs indicating they’re reaching their limit or something else that may go in your favour. The most important thing to remember is to bid confidently, lest any of the other bidders are studying your body language too. If you don’t think you’re a confident enough bidder or that your poker face mightn’t be up to scratch, have someone else bid for you. You just need to make sure that you fill out a statutory declaration to that fact on the day. So important is this issue of body language, I’ll address it in an upcoming post. Another point to note is that people set their budgets on whole numbers, like $1.3M, so it’s smarter to set yours at $1.31, rather than $1.29, to ensure you don’t miss out. Beyond that, keep calm and pay close attention to what’s happening around you. There’s no cooling off period, remember, so if you do exceed your budget and yours is the winning bid, you will have to go through with the sale. It’s really not worth losing your shirt because you were too swept up in the thrill of the day. Register for bidding and collect a bidding card. For further tips and advice on buying property at auction, I created a series of educational videos for both buyers and sellers that you can access by subscribing to receive them on my website. Alternatively, if you would like a confidential appraisal of your home, please request a proposal from me at my website and I will be in touch with you very shortly.